Bald Head Association is committed to protecting your privacy and developing technology that gives you the most powerful and safe online experience. This Statement of Privacy applies to the Bald Head Association website and governs data collection and usage. By using the Bald Head Association website, you consent to the data practices described in this statement. You can communicate with us via our contact page where the Bald Head Association collects personally identifiable information, such as your email address, name, home or work address or telephone number to answer your questions. Google analytic programs only collect anonymous demographic information, which is not unique to you, such as your ZIP code, age, gender, preferences, interests and favorites. Bald Head Association collects and uses your personal information to respond to your inquiries and deliver the services you have requested. We work to protect the security of your information during transmission. Bald Head Association maintains the confidentiality of your information and does not sell, rent or lease its customer lists to third parties. We respect your privacy. Accordingly, no information you provide will be sold or otherwise willfully distributed except and only as needed to process any payments you are making. Bald Head Association does not collect or store any financial information that is required for online payment. 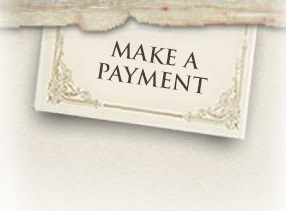 All electronic payments are processed via an external third party. Any sensitive personal financial information provided during any manual electronic payment is destroyed upon completion of the transaction.